I'm going to let you into a little secret. Shhhhhhhhhhhh. Don't tell anyone. 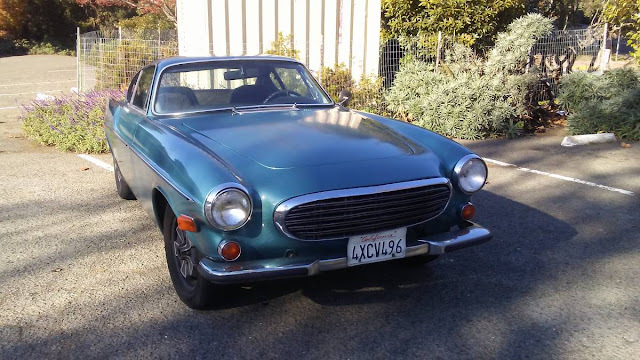 Okay, here it is-- you can drive a classic car as an occasional driver (somewhere between a daily driver and a weekend garage queen) without spending much money. The purchase price plus maintenance/restoration (maybe?) costs can be recouped in a few years if you hit the right spot in the classic car appreciation curve. The real trick is to find cars that are cheap as a general rule, but on the cusp of becoming cool but have good parts support. Oh...wait...you guys already know this. Well here is a fact you probably don't know, approx 165,000 new cars are produced in factories every single day and the person who invented cruise control was blind. Anyway, back on the subject of cheap classic drivers where you shouldn't lose money, find this 1971 Volvo 1800E offered for $8500 in Albany, CA via craigslist. Tip from FuelTruck. 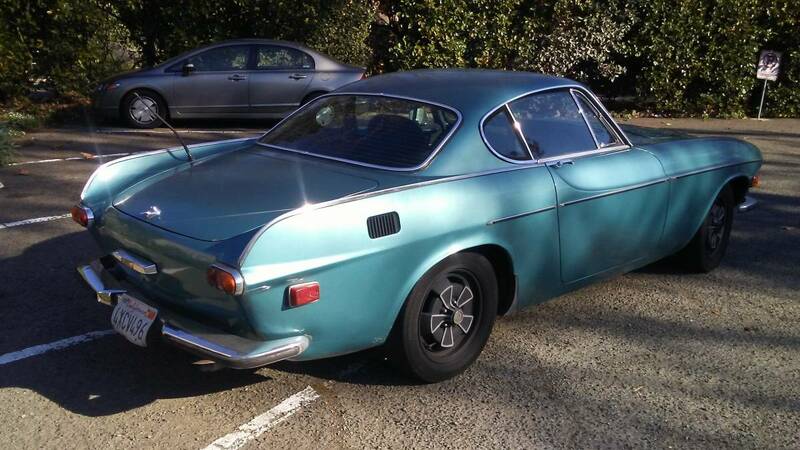 Selling my 3rd p1800 after 20 years ownership. this was my daily driver up to 2 years ago when shoulder surgery forced me to drive an automatic. the car has about 300k miles and gets serviced regularly. interior is original and needs work. no rust. solid body. just had the front end worked on with new bushings etc. transmission and o.d. works fine. b20 2 liter fuelinjected engine runs smooth. I can look past the salvage title on this beauty. On an old car it is not as important in my humble opinion. These are gorgeous cars. I would go for a wagon though. Speaking of Salvage titles, My friends father just crashed his Alfa Quadrifoglio and the thing nuked! He ran into a tree with a police officer going the other direction. Sad to see it totaled, it was an epic car to drive. Steelies and trim rings, FTW. But these wheels definitely work on the 1800 better than Virgos that you sometimes see. The straight chrome side trim is a killer for me, the curved is just soooooo much cooler. Also, I know it’s my ocd rearing it’s ugly head, but anyone who owned this car for 20 years is absolutely aware that this is NOT a p1800. Maybe a line or two from your nearly unlimited amount of text available to say why it has a salvage title? I don't THINK I'm OCD for wanting that information.